The television show “Cosmos” premiered on Fox channels Sunday night, hosted by astrophysicist Neil deGrasse Tyson. It was a sequel to the 1980’s miniseries “Cosmos: A Personal Voyage” hosted by Carl Sagan. I watched both shows that day and found some interesting information contained within, but also some interesting representations. 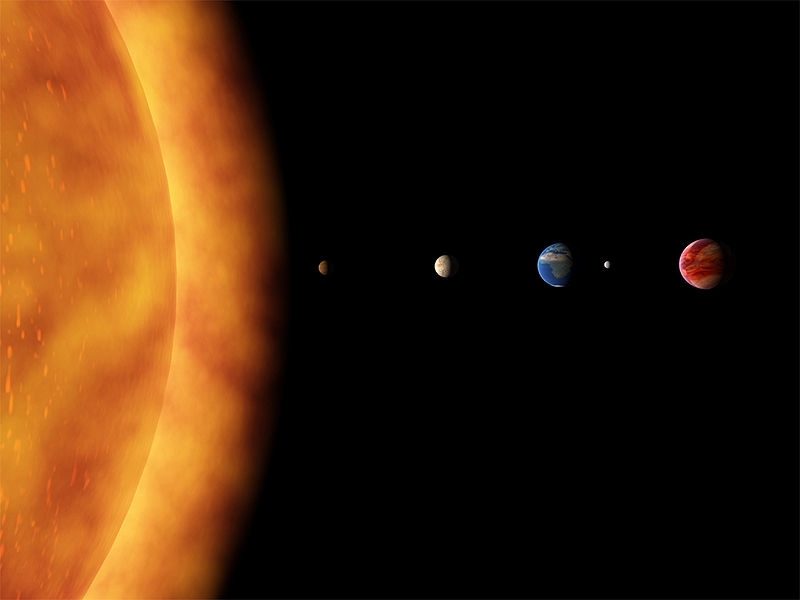 The show depicts itself as a stream of facts and knowledge about the universe, and much of the content in these shows is true by scientific standards. However, I was surprised at how each show takes this information and puts it together to create a particular narrative. When watching or listening to interviews by scientists, I notice how smart and insightful they are, but also how much they promote ideas beyond their scientific “duties”. Scientists like Richard Dawkins are less about scientific ideas and more about making disparaging remarks about religion in comparison to science. Sam Harris is another scientist whom I see speak more about religion than about science. The two hosts of these science shows have ideologies and perceptions that they are undoubtedly promoting while discussing scientific facts. 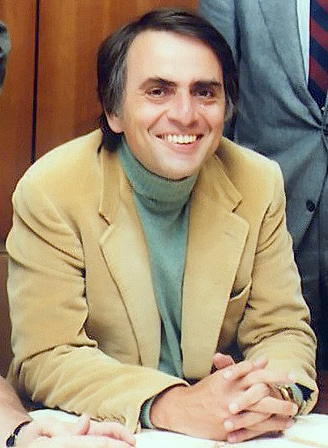 Carl Sagan, as intelligent and interesting as he is, is not just delivering facts but telling people how they should look at the world, their lives, and their place in the universe. In a sense, with this you have the facts and then you have the science narrative. The facts are there, but the narrative is in no way fact based and is solely based on the personal interpretation and beliefs of the hosts and writers of these shows. I was disappointed in how much the old “Cosmos” consisted of Carl Sagan telling me how I should be looking at things, instead of the simple objective facts of the universe. Two examples profoundly illustrate this. In the old version of this series, one of the episodes discusses UFOs and a particular story of one couple who say they had contact with extraterrestrial intelligence. The story of the couple is re-created, but before it begins Sagan discounts the story as coming from “religious-superstitious thinking”, so that when we see this story being recreated, we are looking at it through that paradigm. In an episode of the new series, an animation depicts what it was like for the first man who discovered the earth was not the center of the universe. The animation shows the historical truth of the condemning of the Catholic church on this man, but the animation obviously depicts the church as being dark and sinister. Even the way the characters of the priests are drawn is blatantly biased. There is a narrative here, and thus a myth; not just science. There are things to be enjoyed in these two shows, but the thing I find interesting is how many scientists go after religion. The religious mind and the scientific mind seem to psychologically belong to the same family. They are both beliefs which the individual identifies with and uses to construct a worldview. Both of these belief systems have their own facts and their own myths. This entry was posted in Relevance of Humanities, Religion in Culture, Student Blog and tagged Carl Sagan, Chris Beacham, Cosmos, Neil deGrasse Tyson, Richard Dawkins, Sam Harris by admin. Bookmark the permalink.